Raye Dawn Smith Forgives: Be Strong and Fight for What's Right! 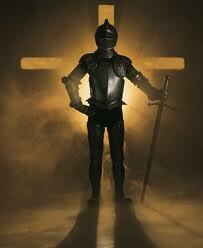 Be strong and step out with the whole armor of God on. You can stand up for what is right in this world and fight for it. will lead your steps to Victory. against the authorities, against the powers of this dark world and against the spiritual forces of evil in the heavenly realms. always keep on praying for all the Lord’s people.